I have a tendency to go down rabbit holes while browsing online. It starts off with me searching for a song, a recipe, a moment in history – you name it. Then, a connected thread in something I’m researching will take me down a tangential path, and that might lead yet to another, and suddenly several hours have gone by. I will have about 30 different tabs open in a browser and, usually, will discover some new thing for me to find fascinating. For a long while I’ve been trying to figure out what to do with this blog, in between recipe posts, and that’s when I realized that if the trip down the rabbit hole is fun and interesting to me, maybe there will be at least one or two other people who’ll enjoy it. So here we are. 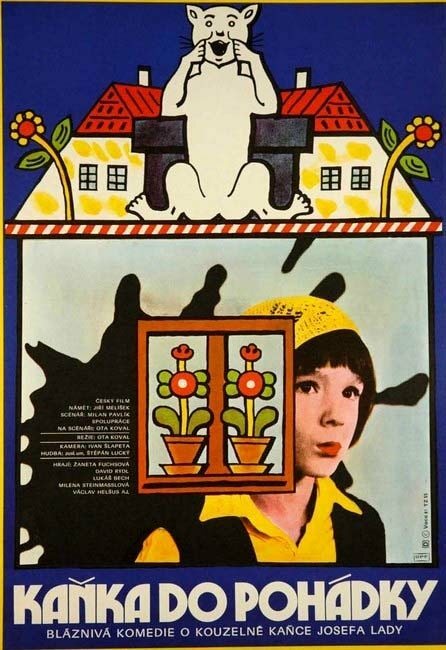 Today, I’d love for you to dive into the world of Czech fairy tale movies with me, kicked off by the artist Josef Lada. Some of you might know about Josef Lada, a self-taught Czech artist with a distinct style. He isn’t terribly well known outside of Europe, but is influential enough to have had a Google doodle done for him on his 124th birthday and even has an asteroid named after him! 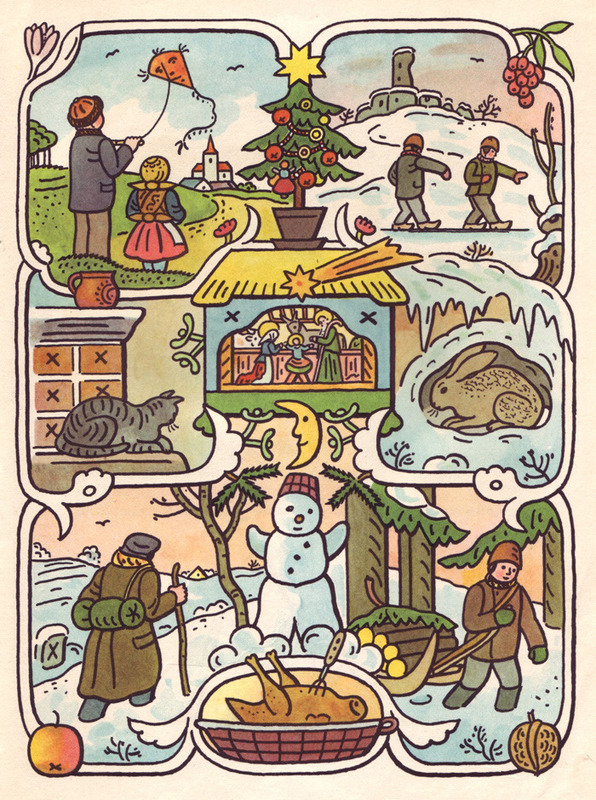 Lada’s work is both satirical, since he honed his style as a caricaturist, and idyllic, most noticeable in his folklore illustrations and seasonal paintings. 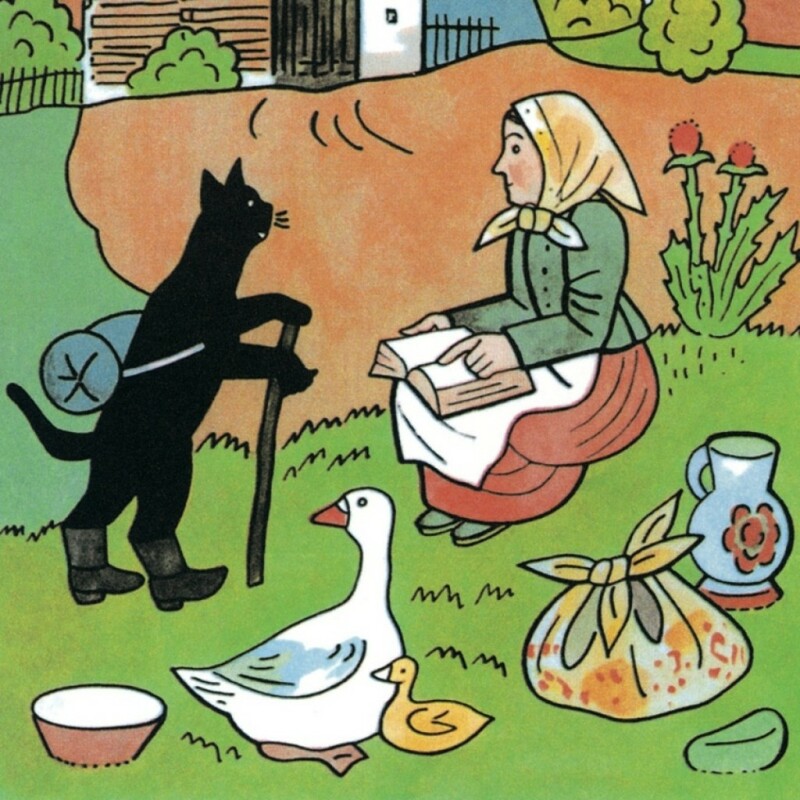 Lada is well known for illustrating The Good Soldier Svejk by Jaroslav Hašek, and I’ve been hunting for an English translation of Lada’s illustrated book about Mikeš, a traveling black tomcat. (I don’t even know if such a translation exists.) 50 Watts, a must-follow blog on all things illustration/book design, has two image posts of Lada’s pieces for you to enjoy.